Chilly. Again. 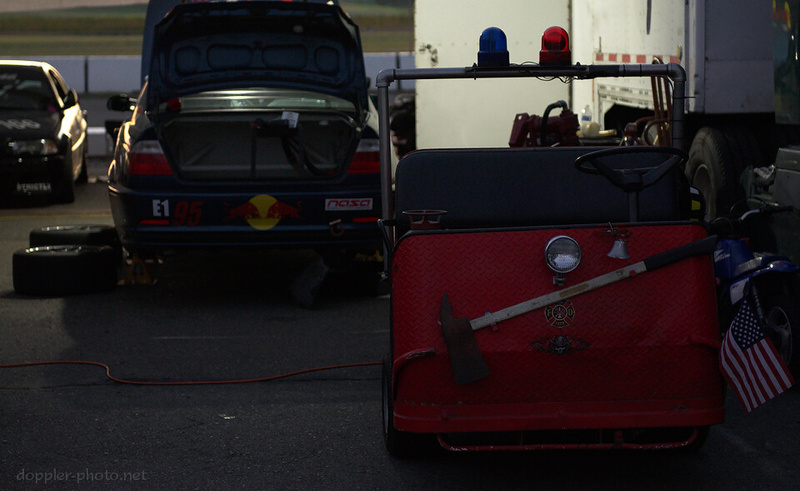 It's race day — Saturday morning. It was below freezing overnight, and now the ground's cold. The cars are cold. The tires are cold… Everything's cold, really. But it'll be sunrise soon, and it's already time to get back to work. Race day is really day four of the race — most teams got here on Wednesday. And that's not even counting the months or years of car and team development to even get to this point. If you take a step back and think about it, though, racing has a fractal nature to it. Every little piece is kinda similar to every other little piece, and then each little piece gives you its own little glimpse of the big picture. And no matter how close or far you get, what you see tells you a bit about the details that you'd see from other distances. So even if you only show up on Saturday morning, you can still get a sense of the preparation that happened in the days, months, and years prior. There are multiple cars, because endurance races are all about contingencies, and unfortunate situations do happen. There's a pit cart, because you can't have a race team without logistics, and the essence of logistics is movement. And it's this pit cart, because the details of the race effort reflect the personalities and identities of the people involved. The details show you the bigger picture. The details show you what matters and what doesn't. 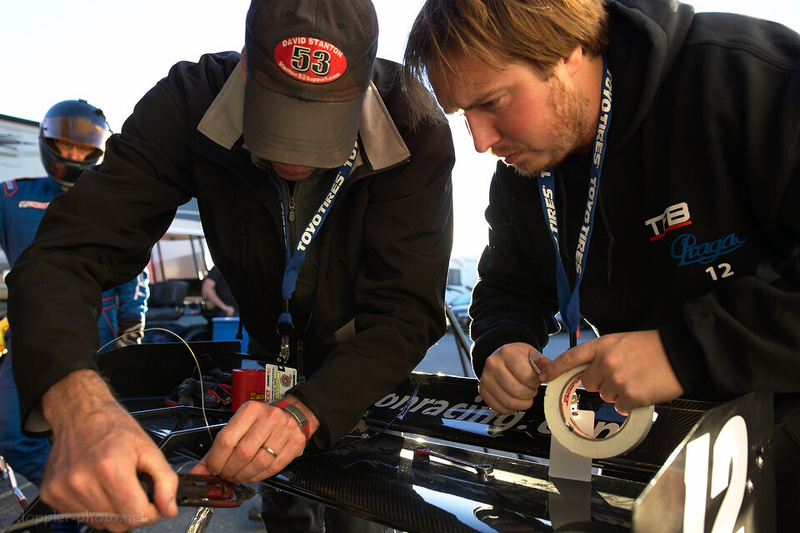 They show you which aspects of the race are essential, and which can withstand some shade-tree engineering and rapid improvisation. Damaged wing mount? Hit it with some safety wire and some tape. Good to go. The car can still turn quick laps even if the downforce situation isn't perfect, and it would take a whole lot of extra speed to match the benefit of simply getting back on the track five laps sooner. Differential cover gasket face, though? Gotta be spotless. Get the brake cleaner. Get the razor blade. Make it perfect. One diff replacement is already a bunch of time spent off track. If the second diff runs out of oil and locks up, that's easily enough to push a team off the podium and well down the ranking. Penalties also matter. Every time a team spills fuel on the track during a pit stop, it's a five-minute penalty. By comparison, the final results would see a number of teams within two minutes of each other — a single fuel penalty and those positions could flip. 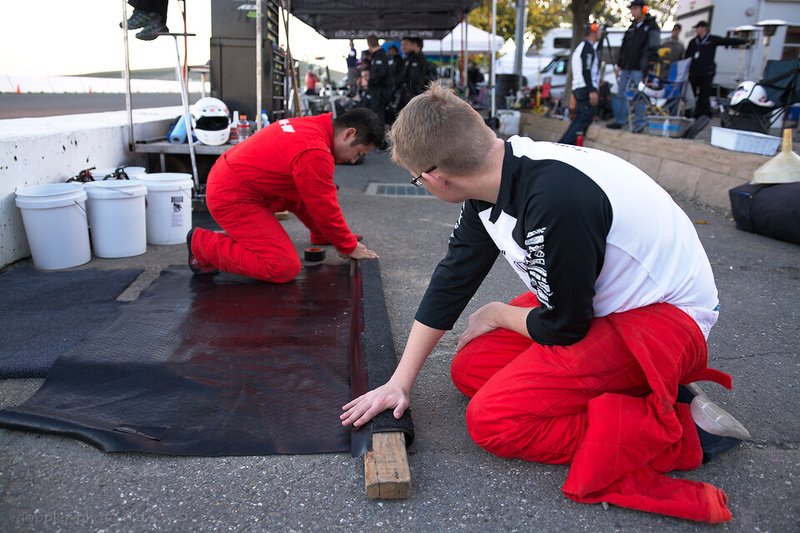 In the picture, some members of the Honda HPD race team work on a mat that would catch spilled fuel during pit stops. No fuel on the tarmac, no penalty. Communication matters, and at nighttime, that goes twice over. If the driver has to come in, that signal goes out over the radio. If the driver notices something amiss, it comes back in over the radio. And if the radio breaks, you just have to kick it old school with the pit board. Here, the Ryno Racing team tries to signal the #5 Ginetta, one of the fastest cars on the track, to pit in. And that's a race, in a nutshell. Go fast. Fix stuff quick. Avoid mistakes. Don't rack up penalties. Earlier on, I mentioned preparation. Infrastructure plays a huge role in every little piece of the race effort. You already saw what happens when the radios don't work. 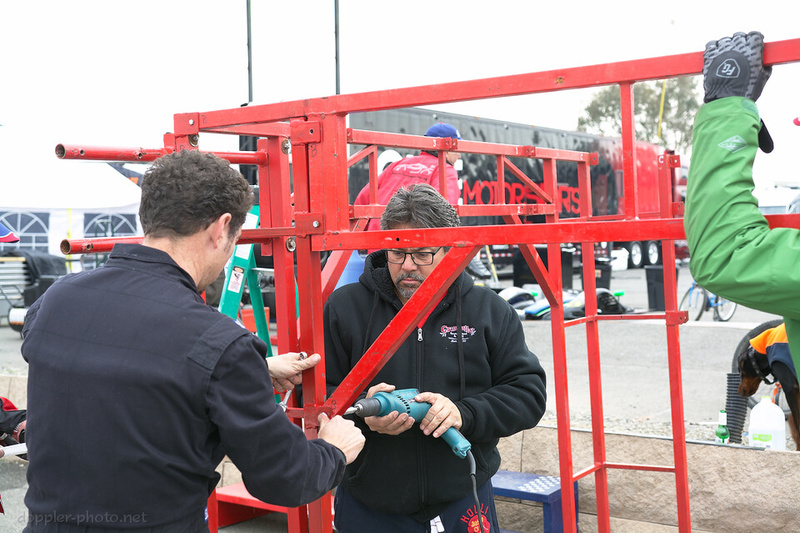 There's also physical infrastructure that the teams build up to help them run faster, better-coordinated pit stops; to maintain radio contact to the farthest corners of the track; to stay aware of track conditions; and so on… That infrastructure goes up on Wednesday, and then comes back down once the race is through. Oh, one last thing. You have to be creative. When the race throws you a curve-ball, you have to be able to adapt your plan and still execute. But it's also a time-honored racing tradition to take some creative license with interpretations of the rules. Sometimes, those interpretations win you a spot on the podium, and sometimes, they just win you extra unwanted attention during the post-race inspections. At the end of the day, whether you're looking at the details or the big picture, some gambles pay off and some don't. Coming up next time, how and why the Thunderhill Grill is the epicenter of the race. Don't forget to share and subscribe for more. I haven't hard anything, but I'll ask around. The final race results seem to indicate that whatever it was, they weren't DQed. i like the second guy, kneeled, flashing a light at the pit board. Gotta do what you gotta do. Yeah. It was tough on the team because the drivers got in the habit of passing on the left, with the slow drivers holding right, so the folks with the pit board were out there for, like, 4 or 5 laps. 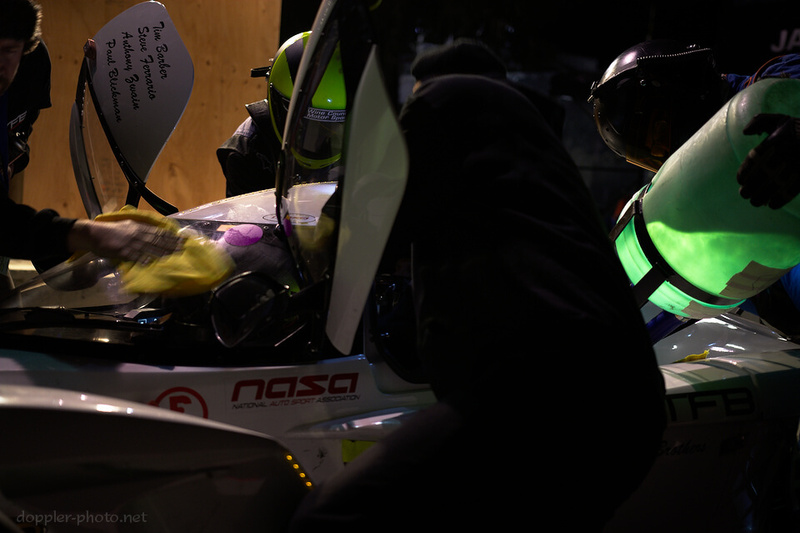 After they went back to their pit area, I didn't see whether the car came in, whether they managed to re-establish radio contact, or whether they just gave up and figured it'd come in when the gas got low.